Saturday morning and I was sat on the hillside at Wether Fell, near Hawes, in the Yorkshire Dales. I was waiting, along with ten or so others, for the wind to pick up. 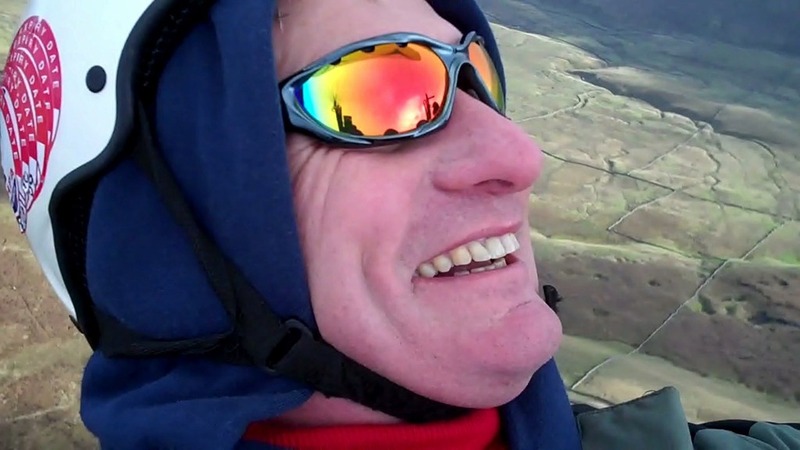 I had my brand new paraglider laid out ready, and I was strapped in y harness. I’ve been paragliding for five years and I love it. Work, surveying, damp, condensation or rot was the last thing on my mind. The wind stirred and a chap took off….we waited. He didn’t fly straight down into the valley….he stayed up. I followed and soon I was searching the ridge, looking for more lift. Within ten minutes I was at 3000 feet and entering the clouds. The thermals were gentle and fat, which made working them a pleasure. 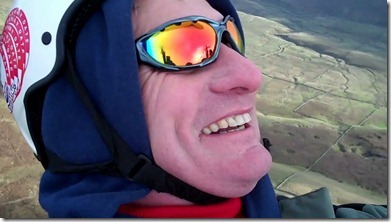 If you look carefully, you can see my new glider reflected in lens.. The view over the dales was stunning, I could see Ingleborough, Peny-ghent, Wernside and all – wonderful. Here’s a short taste via my shaky video. If you’ve never thought of paragliding then do so. It is not nearly as hard or dangerous as it looks. If like me, you find it difficult to relax and switch off, after a hard week, this will cure that. Oh well, back to work…. It looks great and will certainly overcome the fear of height. Does it get to a point where height seems irrelevant?